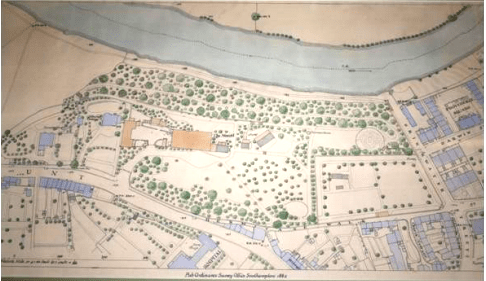 Shrewsbury UK – the rarely-open family garden of Charles Darwin in Mountfields will have guided walks each Wednesday afternoon from Mar-Sept, 2013. This opportunity has arisen as part of the fundraising events for St George’s Church in Frankwell. 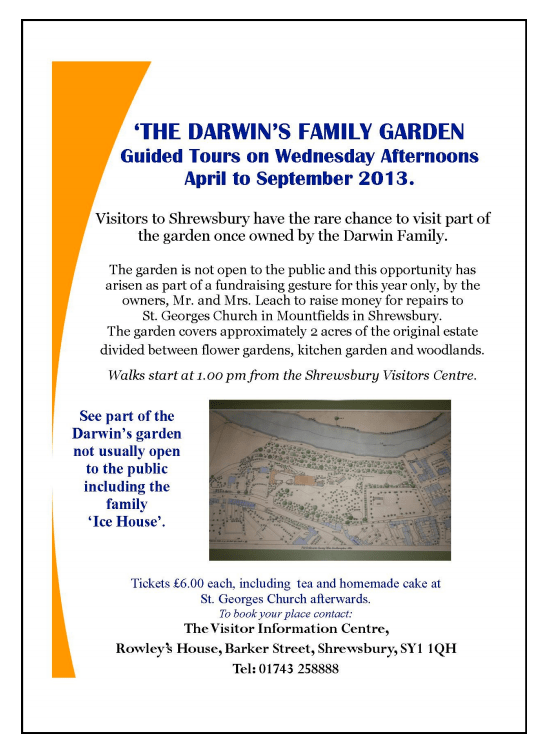 For 2013 only, there will be a series of guided walks which will explore the original estate of the Darwin family. The garden is usually not open to the public. The walks will take place on Wednesday afternoons from April 2013 through to September 2013, starting from the Visitor Information Centre at Rowley’s House at 1pm. Tickets are £6 for adults and £3 for children; this includes tea and homemade cakes at St George’s Church afterwards. All money raised will go towards the church funds. For more information, or to book your place on these tours, please contact Shrewsbury Visitor Information Centre at Rowley’s House, Barker Street, Shrewsbury. The centre is open Monday to Saturday 10am to 5pm, or tickets can be purchased by ringing 01743 258888. Spaces are limited so advance booking is essential.